From Software changed the world of gaming forever with the release of Demon’s Souls first and then, later, Dark Souls. Many developers in the past have released their unique tale on the formula, ranging from 2D experiences like Salt and Sanctuary and Death’s Gambit to full-blown massive game like Team Ninja’s Nioh. While these games tried to introduce new twists into the formula, Ashen by Aurora44 doesn’t even try to hide its inspiration, resulting in a game that can be pretty much considered as Dark Souls lite. And this is not entirely a bad thing. The Dark Souls series inspiration is pretty clear right from the beginning of the game. The world of Ashen has lost its light and its god, and only the chosen one will be able to restore it and bring about a new age of prosperity. The lore is definitely interesting, though, clearly inspired by the Norse mythology with the World Tree and the Nine realms it sustains. While the story is basically the same tale of world regeneration we have previously seen in the Dark Souls series, it feels like it’s a little bit more humane. During the course of the journey, players will get to meet and know better a variety of characters who will actively contribute to the restoration of the world, whether by providing new services for the main hub or by following the player and assisting them in both combat and puzzle solving. Unlike in any of the Souls games, these characters received a good amount of development, succeeding in making players care for them and their struggles. With the story itself not being particularly engaging, these characters also provide a very good reason to continue playing until the end. 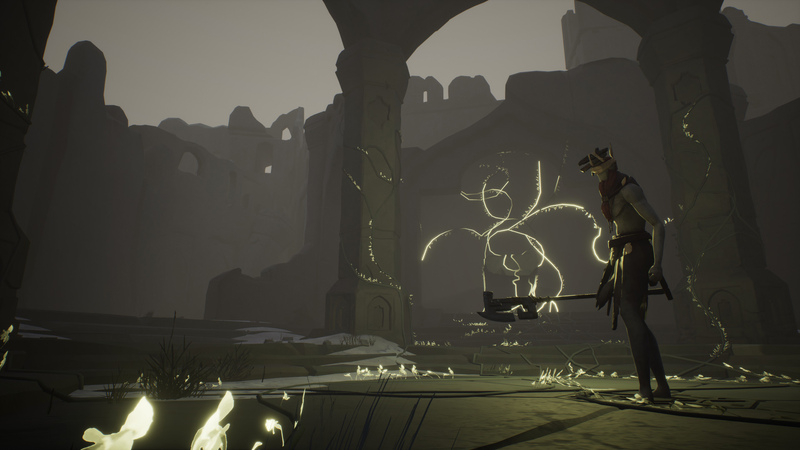 The story isn’t the only feature in Ashen that’s been lifted almost completely from the Dark Souls series, as the gameplay formula is pretty much identical to the one seen in the popular From Software games. At the beginning of the game, players will create their character and customize them in a variety of ways. Once this is done, they will be thrown into a tutorial area that will teach them the basics of combat. Not that any Dark Souls fan will need to be taught, as the combat in Ashen is virtually the same: players can attack with their equipped weapon, block attacks with the shield, dodge enemy attacks and use items, including one that works very much like the Estus Flask. One of the few differences is that it’s not possible to use all weapons with two hands, as, in Ashen, they are split into one-handed weapons and two-handed ones. Aside from this small difference, Souls fans will find themselves right at home. The rest of the experience, thankfully, manages to slightly differentiate itself from its main inspiration in a few ways. For starters, the game’s world is not as expansive as in the From Software games. There is a central area, sure, where characters met during the journey will provide a variety of service, but players have little choice in where to go, as they have to complete dungeons in a specific order to move along with the story. As such, exploration feels limited, and the only optional areas you will find are those featuring some extra items. What truly stands out is how nicely designed the world is. The main field is filled with enemies and items, and each location has some landmark or theme that defines it. Dungeons are also extremely well designed: they are not particularly big, but they are a joy to explore. The main difference with the Souls series lies in the fact that the Ashen experience has been created for co-op., and playing with other human players elevates everything considerably, as some puzzles require the two players to coordinate their movements. In case playing with another human player is not possible, players can choose to bring along any of the NPCs they have met during the journey. They behave strangely from time to time, like refusing to get to the desired location, but they get the job done. Another major difference from the Dark Souls games is in the difficulty department. While Ashen is more difficult than other action-adventure titles, it’s hardly as punishing as the Souls game are. Regular enemies aren’t particularly difficult to get rid of if one doesn’t charge blindly at them. Bosses are more involving but definitely still manageable. Playing with another prepared player makes them almost trivial. Things are made even simpler by the fact that Ashen doesn’t really feature a leveling system, as stats are only improved by changing equipment. All weapons, shields and armor pieces can be fully upgraded by spending the game’s main currency, which is obtained by killing enemies, so there’s still a sense of progression and the ability to grind, for those that wish to do so. Ashen tries maybe too hard to be the next Dark Souls, but thankfully its aesthetics are quite far from those seen in the From Software series. The game’s somber atmosphere is perfectly rendered through the use of lighting, especially in the main field, and in the overall design choices. All the characters lack definite facial features on purpose and it’s something that makes them somewhat haunting, but also unique. Dungeons are also very interesting aesthetically, with each one belonging to a particular theme that’s not always dark. With the game sporting a simple, yet effective, graphics style, it also isn’t particularly demanding in terms of specs on PC. A moderately powerful PC can run the game at Ultra Settings without any major issue. Ashen is a very difficult game to score. While it’s an almost blatant rip-off of the Souls series in some areas, especially the whole gameplay loop, its extremely high quality makes it easy to look past its being so derivative. 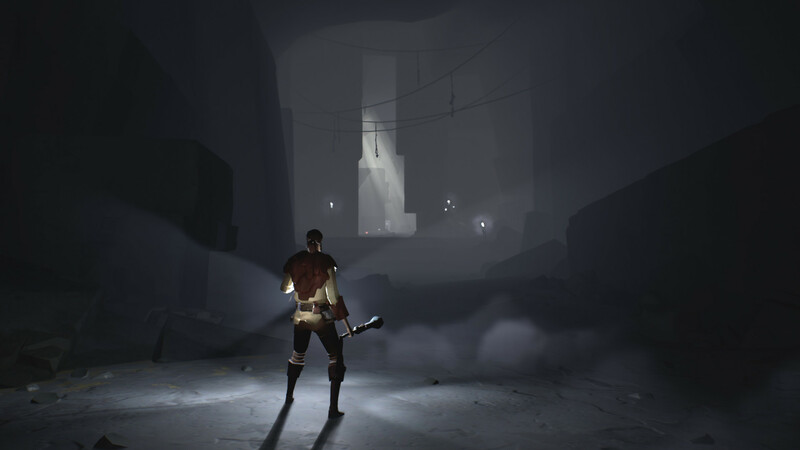 If you’re looking for something completely new, however, this game is definitely for you: the few twists here and there aren’t enough to make Ashen feel fresh. PC version tested (review code provided by the publisher). You can get the game via Microsoft Store for Xbox and soon for Windows 10 PC (it’s included with the Xbox Game Pass subscription), or via Epic Games Store for PC. 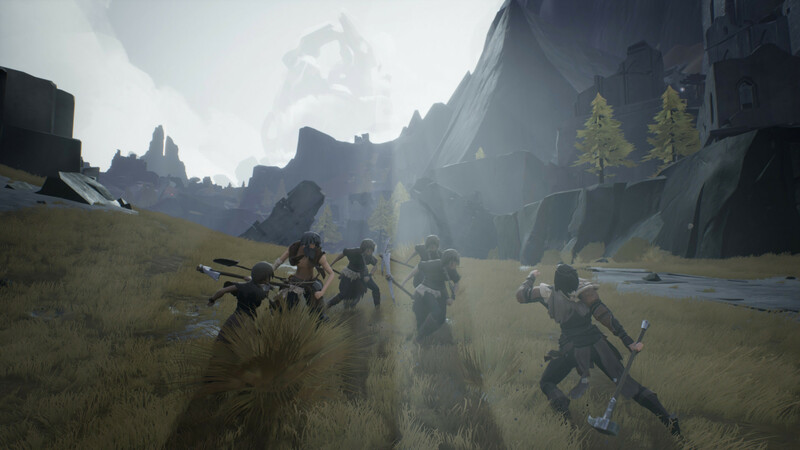 Ashen is a very good action-adventure game sporting interesting lore, good character development, and solid gameplay features like combat and exploration. Unfortunately, the game does almost nothing to separate its gameplay loop from the one seen in the Dark Souls series and therefore ultimately feels like a lite version of the series developed by From Software. The well-made overall experience does make it easy to look past this issue, but if you're looking for something innovative, you won't find it here.